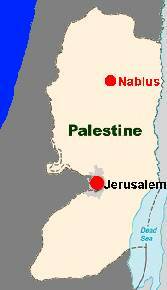 Nablus is an important city in the West Bank and was the cultural and commercial capital of Palestine. The surrounding villages are mainly rural relying on their crops and animals. Education, businesses and agriculture have been severely affected by the occupation. There is high unemployment and endemic poverty. Read more ... .
Five members of the Dundee-Nablus Twinning Association walked for FONSA on the Dundee Kiltwalk 2018. A pleasant stroll round the beautiful Tay. 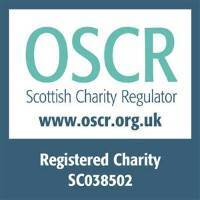 The Kiltwalk Foundation adds 40% to funds raised bringing almost £2,500 for FONSA. Congratulations! This will support students, children and other FONSA projects in and around Nablus. Bill Wilson and Mike Whitehead have completed their 500 mile cycle from Dundee to London. This was part of The Big Ride from Edinburgh to London. They both enjoyed it though were rather tired. Great to cycle with so many like-minded people. Their efforts have raised over £2,000 for Nablus which will be used by FONSA to support education and community projects. Thanks to all their generous sponsors. You can still support Bill and Mike. Our gift certificates make excellent Christmas presents or gifts for your friends and relatives. Our gifts page now allows you to order online which we hope you will find more convenient.